Whether you are planning to change your hair color or just trying to see new hair color trends to try out. We’ve compiled some of the latest hair color trends sported by celebrities, in the runway and on social media. Last year it was all about Ombres, bright blues and natural highlights. Which one will top this year’s hair color trend? See which one you like best and we hope this gives you an idea for your next look. For those blondes that are not ready to commit to going completely dark, we introduce to you to the new trend the Bronde. This was a big trend this summer. This hair color is a great way to blonde brown and blonde hair color without too much commitment and maintenance. It’s a strong color for hot weathers and is great when styled. It looks great on short and long hair color. This also works in vice versa. People that want to go blonde, but is not willing to go too light. If you are someone that liked the ombre style and want something that is much more adventurous, why not try the new smoky colors. This is a great hair color that has swept social media since early 2016. We have seen different variations of this hair color. The most popular one is the lilac version. 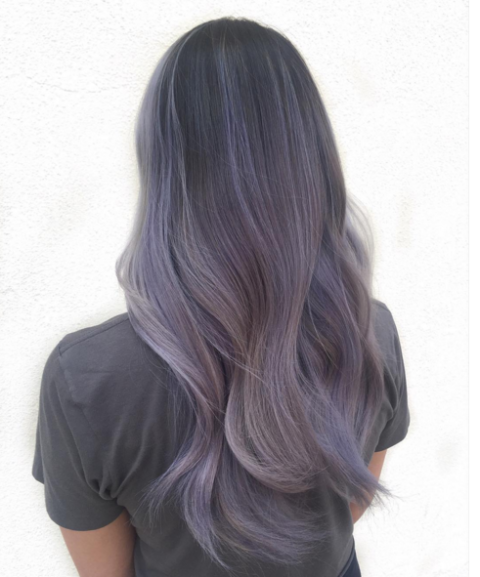 It starts with a dark grayish hair color in the roots fading to a lighter silver to a foggy lilac. This creates a mysterious and chic shade that looks amazing indoors and outdoors. This hair color looks especially good with long hair. You can change the color by opting for blues, white or greens. Dark hair people rejoice! The trend of bright hair colors required dark haired color people to bleach their hair to oblivion. As you all may know, bleaching can be incredibly damaging to the hair. This also requires a lot of maintenance and can be expensive for touch ups. The eggplant hair color require little to no bleaching and will require less maintenance. This is a great hair color since it matches most skin shades. It is also a great color since it is between the line of natural and unnatural without the need to overly processing your hair. The other plus side of this hair color is the fading. It doesn’t cause a weird fading color over time. It can only cause your hair to appear either darker or even lighter than your natural color. You can bring back the color by simply toning it again. The golden blonde has always been a big staple in the hair coloring world, but it has recently become a must have color of the season. A lot of celebrities are sporting this elegant hair color. The base is a natural blonde shade with a bit of champagne shimmer. This adds a bit dimension to the hair without looking unnatural. 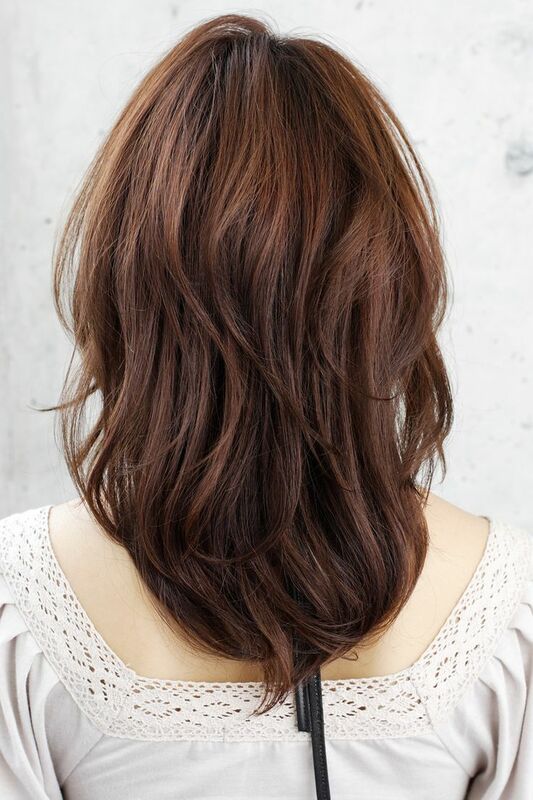 This hair color looks on layered hair. 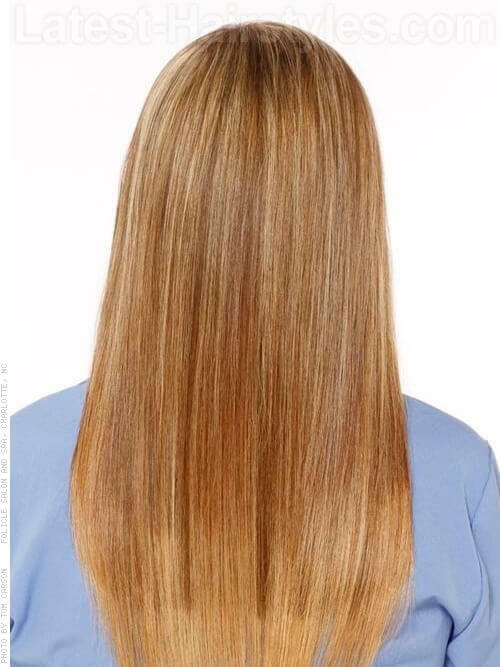 To get this look, ask your colorist on getting a blonde base with thin golden highlights. Not really the type of person to commit to a radical hair color change, but want to do something adventurous? Try out the new rainbow bangs. 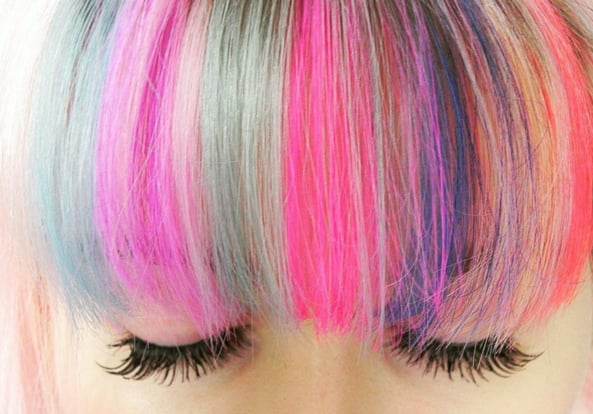 As the name suggests, it is basically coloring your bangs with rainbow colors. This is a bold statement that you can experiment with. You can opt for one color or combination of different once. If you are planning to go darker and want something that looks great for winter, opt for warm brown black. The brown and black tones in your hair will create more dimension and shine that would look great for cold weather. This isn’t a flat color, making styling look a lot better. Keep your hair shiny and smooth by getting regular treatments. This can maintain the vibrant color and shine. The strawberry blonde hair color is one of the rarest type of blonde hair. It is a gorgeous shade that can fit most skin shades. 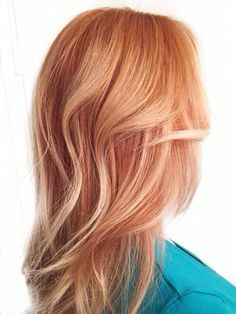 The lightness of the blonde can accentuate the red tones in the hair, this makes the skin appear brighter and make eye color pop. Colored black hair tends to appear too heavy and inky, that it appears too dark. For a more natural color ask for a lighter shade of black or dark gray to give your hair that natural appearance. Some hair colors are more of season looks. Some fit cold weather and some during those hot warm days. Though, if styled right these hair color trends can last all year long. These new hair color trends are all over the social media, fashion and entertainment industry. Whether you feel like going dramatic or doing something subtle with your hair. We hope these fresh new trends can guide you. Here is to new looks and hair transformations.